So I’ve decided to produce a new series for my blog! It is called Becoming Lighter and will include ideas about new life aims, decluttering, diet, fitness, social media and experiences that are relevant. The first series will cover life aims. I’ve decided to call them aims rather than goals because, in my view, it’s an ongoing process. Talking of the process, many ideas will be discussed. These will include how committed are you to new life aims? Brainstorming and eliminating new ideas and aims, questioning the environment of your proposed tasks associated with your aims and how to record and measure progress. After that, I will post how we look at the emotions and benefits of the new life aims. The blog posts will be concise and run over several weeks. These are my compilation of ideas that have been obtained from various sources, including books, papers, university study and university of life ho hum (experience and interest). The posts are light hearted, but hopefully help and be flipping useful. La de daaa….. very exciting! 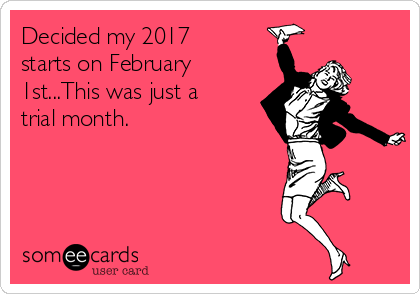 Well, January was a trial month and this is February now, so let’s set some new ideas, goals, resolutions or aims… Glass of wine anyone?